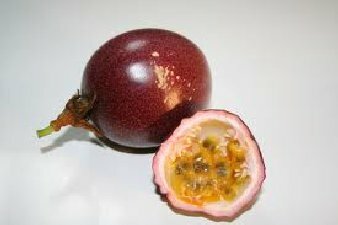 The passion fruit, when unsweetened, is an ingredient in the sour element. The Latin name for passion fruit is Passiflora edulis, and it grows in both purple and yellow varieties. The yellow variety is the more acidic and sour of the two, while the purple variety has more flavor and aroma. The pulp of both varieties is yellow. When available, fresh passion fruit pulp is used in some mixed drinks, strained free of the seeds. Drinks made with fresh passion fruit pulp will usually require sweetening from some other ingredient in the drink. Products sold as passion fruit juice or pulp are usually one of two varieties: passion fruit pulp sweetened with sugar and meant to be made into a juice by adding water to it, or passion fruit juice made by blending the pulp a greater amount of succulent juices (such as apple, grape or pear). Beware that labels bearing the words “100% juice” indicate a blend with succulent juices. The best product for mixed drinks is cane-sugared passion fruit pulp, so that the main flavor is of the passion fruit without other juices. When cane-sugared passion fruit pulp is used, it can be thought of as the sour element already mixed with the sweet element. The pulp need not be pre-diluted for use in mixed drinks that will be diluted by method. The cranberry, when unsweetened, is also an ingredient in the sour element. 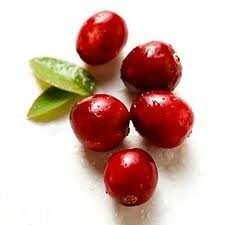 There are actually four species of cranberries, and their Latin species names are Vaccinium erythrocarpum, Vaccinium macrocarpon, Vaccinium microcarpum, and Vaccinium oxycoccos. Products sold as cranberry juice are usually one of two varieties: diluted cranberry juice sweetened with sugar, or cranberry juice blended with a greater amount of succulent juices (such as apple, grape or pear). Beware that labels bearing the words “100% juice” indicate a blend with succulent juices. The best choice for mixed drinks is cane-sugared cranberry juice, so that the main flavor is of the cranberry without other juices. When cane-sugared cranberry juice is used, it can be thought of as the sour element already mixed with the sweet element.